Adding a bit of art to the human canvas is a form of expression. At the piercing studios of West Virginia, you can expect a clean and comforting atmosphere. So it doesn’t matter if you’re coming in for your third ear piercing or if you’re getting a stud for your nose, expect to be in good hands with these talented technicians. Here are the best piercing places in the state. You’ll have no problem finding a profession artist who can give you the look you want at Pike Street Studios Tattoo and Body Piercing. Located in Clarksburg, each artist has their own unique style that can cover the range of customer requests. Dedicated to sharing their passion for tattoos and body art. Clean, friendly, and on the edge. Looking for a place to get your next tattoo or body piercing? Check out Rock Lake Tattoo Company in Charleston. Highly recommended on social media, the artists here specialize in designing or creating the look and feel you want. Check out their Facebook page for specials. 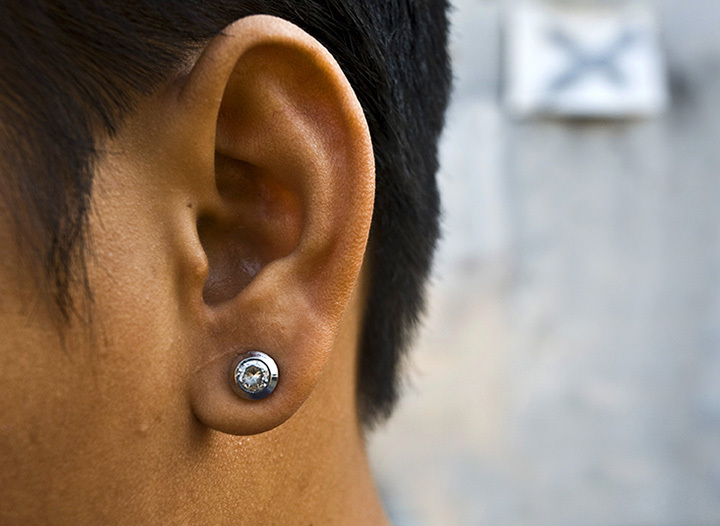 Best news—their standard body piercings are only $31! It’s great to know that service and satisfaction are high on the list of importance when you’re looking for a tattoo or body art studio. Located in Martinsburg, 100 Proof Tattoo has a great look and feel. While you’re waiting, you can browse through the books and see the testimonies of work be these talented professionals. You can’t beat the artistic skills and experience at Agony Body Art Tattoo & Piercing Studio in Beckley. If you like pushing the envelope with wicked creativity, this is your place. They have a nice selection of body jewelry including tunnels, plugs, organics, and non. Make your belly button sparkle like your ears. Whether you want ink or jewelry, Ink Zone Tattoo & Body Piercing is a great place for your first experience or your 100th. Clean and fun, this place won’t empty your wallet. You’ll have great service and answers to your questions. Don’t let the name of this studio fool you, you’ll love the amazing and comfortable vibe at Wolfman Tattoos and Piercings. You’ll howl with delight at the way you’re treated. If you have questions, you’ll get answers from the professional and friendly artists. So stop by the next time you get the urge to add body art. Want to add a piece of art to your personal canvas? Join others who can’t say enough about the customer service at Ink Tattoos and Body Piercing located in Huntington. Some of the best artists around will make you feel comfortable and at ease, and help you create the perfect look. There’s no end to the creativity found at Infiniti Tattoos & Piercings. Super fun and very professional without taking a bite out of your wallet. You can trust that you’ll get quality art and have a pleasant experience. Family-friendly. Hands down one of the best places to get a quality tattoo or piece of body art with your next piercing, Prestige Body Piercing is your one-stop studio for custom-created artwork that expresses what you want to say. You’ll feel comfortable and well-cared for. Great prices and selection for all your needs. Looking to add a little dimension to your tattoo? Consider adding a piercing to make it stand out more and get attention. Like a little more bling around your eyes to add sparkle? Choose from the selection of body jewelry and make your statement to the world.